I thought it was some weird animal! I am blogging about this today, because I know I won’t have time tomorrow. If I stay sober through tonight, Ill hit four years of being clean and sober. I have learned a lot, in life as well as sobriety. Countless life lessons mostly insightful and answering a question from the past that may baffled me for decades. 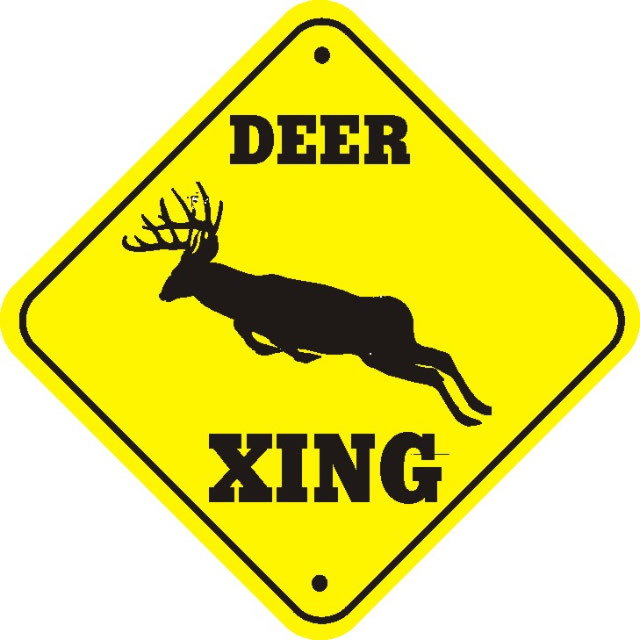 “Oh, the x-ing sign means watch for Deer Crossing, not Deer Xing.” Which for someone reason I always pronounced with a Z, for Zinging! Yeah so I did a lot dope. I don’t know, maybe this was the year that I finally understood that it really isn’t all about me. I’m not special or perfect or a leader or important what-so-ever. Which is fine. I learned that it really doesn’t matter how much money I have. My bank account can be loaded or not, I’m going to have the same fucked up day either way. Or the same amazing day, either way. It’s all in the piece of mind of paying my bills, having a small savings, and knowing more money is coming, because I am employed. I learned that my parents are not going to live forever, no one is. I learned that I am not really sterile and I can make babies! I learned this year that nobody cares if I am in recovery or not. I learned that nearly all of my previous friendships were built on drugs and drinking. Which is know one’s fault. I learned I can make new friends, and they can be just as annoying as my “old friends.” I learned that life isn’t fair a times to everyone, not just me. I learned that part of recovery is growing up and carrying myself like a normal adult, which can be fun. I’m never going to finish my manuscript or be a radio host. I learned that I love my wife and girls and “the boys,” even though with this baby comes he’s going to rock our world! I learned that I only have one day of sobriety at a time, and that all I pray for is that God give me the option to choose, weather I want to drink or use today. Next post…does it need to be said, does it need to be said now and does it need to be said by me? Four years, such an achievement. Well done you for making such a change and sticking to it! Thank you so much, and thank you for reading!!! Best wishes!! !